Choose a Quantal aluminium conservatory kit to add something distinctive to your home. Find your local aluminium installer or start your free online quote. 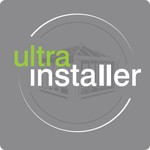 Strong and stylish aluminium conservatory roofs, engineered to deliver superb performance. View our Quantal roof in our virtual reality tool. Beautiful, elegant aluminium Quantal roof with modern technology. Extend your home with an aluminium extension in a wide range of finishes and on trend colours. The Quantal aluminium conservatory roof has been engineered to deliver superb performance across all vital criteria. This system looks unique and has been designed with planning regulations in mind. Innovative Speedlock attachment. This performs two crucial functions – it perfectly aligns the glazing and prevents the ingress of water via a dedicated weather seal feature. A wide variety of eaves options. The Quantal roof can be adjusted to 2.5°. It can be used with lean-tos, and the eaves can be strengthened to cope with wide-openings and Gable designs. U-value of between 1.1-1.5 is achievable when you use our high specification double glazed seal units. All Quantal aluminium conservatory roofs come with a 10-year manufacturing warranty that will cover you if your product fails. Before your approved installer fits your Quantal Glass Extension, please check the level of guarantee that comes with it. Quantal can incorporate an internal pelmet, an inner frame system that’s plastered to create a ceiling that extends around the perimeter - instantly creating a sense of permanence and adding a ‘real room’ feel to the design. The internal projection of the internal pelmet can be adjusted to between 300-1200mm, depending on your requirements. It can be used with side frames and is also compatible with our super-insulated columns and brick piers. The strong, slender and lightweight nature of aluminium lends itself to grander glass extensions, orangeries and conservatories where design is at the heart of the planning process. The Quantal aluminium conservatory is designed for large spans and footprints and, with an almost endless range of design options, you can create stunning period or contemporary builds. A Quantal conservatory, orangery or glazed extension can be painted in virtually any colour to either match existing window frames or deliver a stunning contrast to the rest of the house. Complete your Quantal build by adding super-insulated columns. Compared to brick piers of the same size, they will deliver thermal performance levels up to five times higher – so you’ll be able to enjoy your room year-round. Plastered on the inside, they add solidity to any conservatory making it cosy and comfortable. Super-insulated columns can be fitted in a flat or fluted format and two sizes – large or small. The former of these is best placed at corners, while the latter works best as part of a sequence spread across the remaining space. View our range of beautiful aluminium conservatory roof styles.